TUCSON, Ariz. — The 2017 Collegiate Baseball Freshmen All-American team features a wealth of baseball talent. 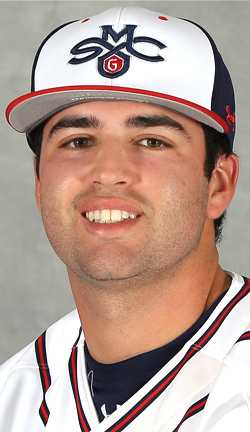 DH/RHP Kevin Milam, Saint Mary’s (.313, 14 doubles, 12 homers, 55 RBI, 9 saves, 2.27 ERA). 2B Braden Shewmake, Texas A&M (.343, 16 doubles, 10 homers, 64 RBI and 11 stolen bases). RHP Sean Mooney, St. John’s (8-1, 1.22 ERA, 85 strikeouts). Relief Pitcher Kenyon Yovan, Oregon (15 saves, 1.97 ERA). The following is the entire list of Collegiate Baseball Freshmen All-Americans with statistics through the end of the regular season. RHP Sean Mooney, St. John’s: Named Pitcher of The Year in the Big East and Freshman of the Year in the league, Mooney posted an 8-1 record, 1.22 ERA and struck out 85 batters with 16 walks over 96 innings. RHP Hayden Wesneski, Sam Houston St.: Named Freshman of The Year in the Southland Conference, Wesneski posted a 9-2 record, 3.97 ERA and struck out 43 batters with 21 walks over 77 innings. RHP Ryan Weiss, Wright St.: Named Named Freshman of The Year in the Horizon League and a first team pick in the conference, Weiss posted an 8-1 record, 2.13 ERA, 1 save and struck out 80 batters with 20 walks over 88 2/3 innings. LHP T.J. Sikkema, Missouri: An All-Freshmen team selection in the Southeastern Conference, Sikkema was 8-2 with a 2.72 ERA and 4 saves with 81 strikeouts and 18 walks over 79 1/3 innings. RHP Luca Dalatri, North Carolina: A third team All-ACC pick and member of the ACC All-Freshmen team, Dalatri was 7-3 with a 3.34 ERA and struck out 85 batters with 19 walks over 97 innings. LHP Ryan Rolison, Mississippi: An All-Freshmen selection in the SEC, Rolison was 6-3 with a 3.06 ERA over 61 2/3 innings as he fanned 64 batters with 24 walks. 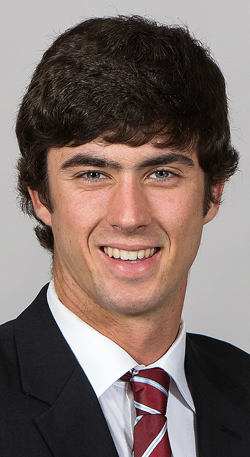 RHP Will Ethridge, Mississippi: Ethridge had a superb 2.41 ERA with a 2-2 record and 1 save as he struck out 50 batters with 11 walks over 41 innings. RHP Eric Walker, Louisiana St.: Selected to the All-Freshmen Team in the SEC, Walker was 7-1 with a 3.78 ERA and struck out 70 batters with 23 walks. LHP Nick Bennett, Louisville: An All-Freshmen pick in the Atlantic Coast Conference, Bennett was 5-0 with a 2.47 ERA and struck out 55 batters with 12 walks over 58 1/3 innings. LHP Joe Sheridan, Central Florida: Sheridan posted a 10-4 record and 3.25 ERA as he struck out 64 batters with 24 walks over 72 innings. RHP Kyle Brnovich, Elon: Named Rookie of The Year in the Colonial, Brnovich was 6-5 with a 3.10 ERA and fanned 103 batters with 41 walks over 90 innings. LHP Tyler Hankins, Central Michigan: A second team Mid-American Conference selection and Freshman Pitcher of The Yeat, Hankins was 6-1 with 2 complete games, a 3.34 ERA and struck out 51 batters with 28 walks over 91 2/3 innings. RHP Seth Shuman, Georgia Southern: Shuman was 8-0 with a 3.34 ERA and 1 save as he struck out 49 batters with 17 walks over 56 2/3 innings. RHP Matt Brash, Niagara: Named Rookie of The Year in the Metro Atlantic, Brash was 5-1 with 2 saves, a 2.79 ERA and struck out 63 batters with 27 walks over 77 1/3 innings. LHP John Wilson, Old Dominion: A member of the All-Freshmen Team in Conference USA, Wilson was 6-1 with a 3.41 ERA as he fanned 35 batters with 14 walks over 58 innings. RHP Vitaly Jangols, Rhode Island: A member of the All-Rookie Team in the Atlantic 10, Jangols was 7-1 with a 2.23 ERA, 2 saves and struck out 25 batters with 12 walks over 60 2/3 innings. RHP Parker Brahms, Sacramento St.: Named Freshmen of The Year in the Western Athletic Conference and a First Team WAC selection, Brahms was 8-3 with a 3.01 ERA, 2 complete games as he struck out 59 batters with 25 walks over 92 2/3 innings. LHP Nick Lodolo, Texas Christian: A second team Big 12 pick and a member of the All-Freshmen Team in the league, Lodolo was 5-1 with a 4.28 ERA as he struck out 69 with 27 walks over 73 2/3 innings. RHP Tyler Myrick, Florida International: A member of the All-Freshmen team in Conference USA posted a 6-2 record, 3.73 ERA and struck out 57 batters with 28 walks over 72 1/3 innings. RHP Nick MacDonald, Florida International: Another member of the Conference USA All-Freshmen team, he was 7-3 with a 4.29 ERA and struck out 68 batters with 30 walks over 71 1/3 innings. LHP Tyler Blohm, Maryland: Named Freshman Of The Year in the Big Ten, Blohm was 8-6 with a 3.62 ERA as he struck out 67 batters with 32 walks over 72 innings. RHP Anthony Maldonado, Bethune-Cookman: A First Team MEAC selection, Maldonado was 8-3 with a 2.78 ERA and 1 complete game as he struck out 60 batters with 28 walks over 81 innings. LHP Mason Feole, Connecticut: Named Rookie Pitcher of The Year in the American Athletic and a First Team All-League pick, he was 7-4 with a 3.38 ERA as he struck out 75 batters with 30 walks over 82 2/3 innings. RHP Colten Rendon, Winthrop: Named Freshman of The Year in the Big South and a First Team All-League pick, he was 7-5 with a 4.19 ERA as he struck out 53 batters and walked 10 over 86 innings. RHP Brian Herrmann, Stony Brook: A first team America East selection and a member of the All-Rookie Team in the league, Herrmann was 4-3 with a 3.46 ERA as he struck out 54 batters with 32 walks over 80 2/3 innings. RHP John Baker, Ball St.: Baker was 5-2 with a 4.28 ERA and 1 save as he struck out 62 batters with 24 walks over 61 innings. RHP Michael Delease, Central Connecticut: A second team Northeast Conference pick, Delease was 5-0 with a 2.63 ERA and 1 complete game as he struck out 16 over 37 2/3 innings. RHP Levi Stoudt, Lehigh: A second team Patriot League selection, Stoudt was 4-5 with a 2.34 ERA and 3 complete games as he fanned 45 batters with 22 walks over 61 2/3 innings. LHP Chris Murphy, San Diego: A member of the All-Freshmen Team in the West Coast Conference, Murphy struck out 89 batters and walked 35 over 69 innings as he posted a 3-4 record and 4.17 ERA with 1 save. Kenyon Yovan, Oregon: A first team pick in the Pac-12, Yovan posted 15 saves with a 1.97 ERA as he posted 36 strikeouts and 6 walks over 22 appearances. Josh Hiatt, North Carolina: A first team ACC selection, Hiatt posted 13 saves, a 4-2 record and a 1.90 ERA in 32 appearances with 64 strikeouts and 20 walks. Jake Mulholland, Oregon St.: Mulholland was 6-1 with 6 saves and a 1.39 ERA as he fanned 37 batters with 10 walks over 24 appearances. Brandon Eisert, Oregon St.: Eisert posted a 4-0 record with 4 saves, a 2.38 ERA and struck out 45 batters with 16 walks over 19 appearances. Joe LaSorsa, St. John’s: LaSorsa was 7-1 with 1 save and had a 2.34 ERA with 39 strikeouts and 14 walks over 21 appearances. Jon Tieman, Valparaiso: A member of the All-Freshmen Team in the Horizon League, Tieman was 4-1 with 7 saves and a 2.93 ERA as he struck out 51 batters with 15 walks over 20 appearances. Kyle Martin, Fordham: A member of the All-Rookie Team in the Atlantic 10, Martin was 6-1 with 1 save, a 2.76 ERA and 45 strikeouts with 7 walks over 23 appearances. Dylan Thomas, Hawaii: Named Freshman of The Year in the Big West and an Honorable Mention pick in the league, Thomas had 9 saves with a 2.01 ERA and struck out 20 batters with 5 walks over 17 appearances. Kevin Kelly, James Madison: Kelly was 5-3 with 1 save and a 2.91 ERA ad he posted 38 strikeouts and 8 walks over 24 appearances. Houston Roth, Mississippi: Roth was 3-0 with a glistening 1.57 ERA over 18 appearances as he struck out 41 batters and walked only 8. Riley Self, Mississippi St.: Self was 5-1 with 6 saves over 28 appearances as he struck out 58 batters with 17 walks. Zach Graveno, Mercer: Graveno was 6-1 over 21 appearances as he struck out 24 batters and walked 12. Kyle Shimp, Iowa: Shimp was 5-1 with a 3.28 ERA as he struck out 25 over 16 appearances. Shea Langeliers, Baylor: A second team Big 12 pick and a member of the All-Freshmen Big 12 team, Langeliers hit .324 with 14 doubles, 10 homers and 38 RBI. Parker Phillips, Austin Peay: A member of the All-Freshmen Team in the Ohio Valley, Phillips hit .328 with 14 doubles, 12 homers and 40 RBI. James Free, Pacific: A second team West Coast pick and member of the All-Freshmen Team in the league, he hit .343 with 14 homers, 12 doubles and 54 RBI. Carter Bins, Fresno St.: Named Freshman of The Year in the Mountain West, Bins hit .291 with 9 doubles, 6 homers and 28 RBI. Bryce Bonner, Purdue: A member of the All-Freshmen team in the Big Ten, Bonner hit .273 with 13 doubles, 1 homer and 12 RBI. C/1B Lyle Lin, Arizona St.: Lin hit .290 with 9 doubles, 2 homers and 25 RBI over 210 at-bats. Andrew Vaughn, California: A first team Pac-12 selection and named Freshman of The Year in the league, Vaughn hit .349 with 12 homers, 7 doubles and 50 RBI. Rylan Thomas, Central Florida: Named Rookie Player of The Year in the American Athletic and a second team All-League pick, Thomas hit .304 with 14 homers, 11 doubles and 53 RBI. Carter Williams, North Carolina Central: A second team MEAC selection, Williams hit .351 with 14 doubles, 2 homers, 26 RBI and 12 stolen bases. Vinnie Pasquantino, Old Dominion: Named to the All-Freshmen team in Conference USA, he hit .321 with 17 doubles, 5 homers and 38 RBI. Spencer Brickhouse, East Carolina: Brickhouse hit .310 with 10 homers, 8 doubles and 28 RBI. Spencer Horwitz, Radford: A second team Big South pick, Horwitz hit .317 with 8 homers, 11 doubles and 34 RBI. Andre Lipcius, Tennessee: Named to the All-Freshmen SEC team, Lipcius hit .275 with 11 doubles, 2 triples, 1 homer, 26 RBI and 9 stolen bases. Drew Mendoza, Florida St.: A member of the ACC All-Freshmen team, Mendoza hit .268 with 7 homers, 7 doubles and 28 RBI. Gabe Matthews, Oregon: Matthews hit .282 with 7 doubles, 3 homers and 26 RBI in 177 at-bats for the Ducks. Andrew Naismith, Jacksonville St.: A member of the Ohio Valley All-Freshmen team, Naismith hit .302 with 9 homers, 4 doubles and 29 RBI. Braden Shewmake, Texas A&M: Named Freshman of The Year in the SEC and First Team pick in the league, Shewmake hit .343 with 16 doubles, 10 homers, 64 RBI and 11 stolen bases. 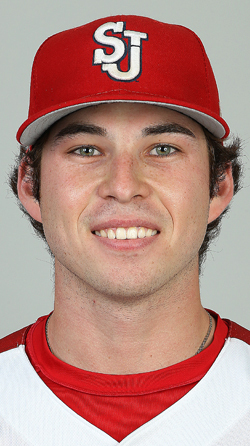 Will Wilson, N.C. State: Named to the All-Freshmen ACC team, Wilson hit .299 with 18 doubles, 7 homers and 45 RBI. Corey Joyce, North Carolina Central: A first team MEAC pick, Joyce hit .344 with 11 doubles, 5 homers, 3 triples and 43 RBI. Scott Holzwasser, Northeastern: Named to the All-Rookie team in the Colonial, he hit .260 with 9 doubles, 7 homers , 30 RBI and 11 stolen bases. Ashton McGee, North Carolina: Named Freshman of The Year in the ACC, McGee hit .340 with 10 doubles, 7 homers and 44 RBI. Danny Wright, S.E. Missouri: An All-Freshmen pick in the Ohio Valley, Wright hit .376 with 13 doubles, 5 homers, 3 triples and 36 RBI. Paul Witt, Virginia Commonwealth: Named Rookie of The Year in the Atlantic 10 and a second team pick in the league, Witt hit .361 with 11 doubles, 1 homer and 36 RBI. Michael Massey, Illinois: An All-Freshmen Team selection in the Big Ten, Massey hit .330 with 12 doubles, 6 homers and 36 RBI. James Cosentino, Kansas: A second team Big 12 pick and member of the All-Freshmen team, Cosentino hit .271 with 11 doubles, 4 homers, 31 RBI and 10 stolen bases. Sahid Valenzuela, Cal. St. Fullerton: Named Freshman of The Year in the Big West and a first team all-league pick, Valenzuela hit .337 with 4 doubles, 2 triples, 1 homer and 22 RBI. Justin Drpich, Binghamton: A member of the First Team America East team, Drpich hit .330 with 9 doubles, 5 homers and 27 RBI. Davis Sims, Murray St.: Named Rookie of The Year in the Ohio Valley, Sims hit .308 with 17 doubles, 11 homers and 50 RBI. Brandon Lankford, N.C. Asheville: Lankford hit .268 with 15 doubles, 10 homers and 46 RBI. Jacob Williamson, Navy: Williamson hit .296 with 13 doubles, 5 homers and 25 RBI. Caleb Webster, N.C. Greensboro: Named Freshman of The Year in the Southern Conference and a first team all-league pick, Webster hit .397 with 14 homers, 5 triples and 38 RBI. Josh Jung, Texas Tech. : Named Freshman of The Year in the Big 12 and a second team all-league pick, Jung hit .310 with 12 doubles, 5 homers, 2 triples and 41 RBI. Nick Quintana, Arizona: An Honorable Mention Pac-12 selection, Quintana hit .293 with 17 doubles, 6 homers and 38 RBI. Richie Garcia, Florida Gulf Coast: Named Freshman of The Year in the Atlantic Sun, he hit .284 with 8 doubles, 6 homers and 35 RBI. Josh Smith, Louisiana St.: Named to the All-Freshmen team in the SEC, Smith hit .278 with 12 doubles, 3 homers and 39 RBI. Christian Torres, Maryland-Baltimore County: Named Rookie of The Year in the America East and a second team All-League pick, Torres hit .287 with 9 doubles, 2 homers and 29 RBI. Brendan Dougherty, Bradley: Named Freshman of The Year in the Missouri Valley and an Honorable Mention pick in the league, Dougherty hit .309 with 9 doubles and 15 RBI. Bradlee Beesley, Cal. Poly: A second team Big West pick, Beesley hit .305 with 13 doubles, 3 triples and 14 RBI. Taylor Garris, Samford: Named to the All-Freshmen Southern Conference team, he hit .333 with 8 doubles, 4 homers and 30 RBI. Spencer Steer, Oregon: Steer hit .262 with 12 doubles, 3 triples, 2 homers and 35 RBI. Javier Valdes, Florida International: Valdes hit .287 with 11 doubles, 5 homers and 36 RBI over 54 games. Jimmy Titus, Bryant: Named Rookie of The Year in the Northeast Conference and a second team All-League pick, Titus hit .296 with 16 doubles, 8 homers and 42 RBI. Cam Shepherd, Georgia: A member of the All-Freshmen team in the SEC, Shepherd hit .307 with 16 doubles, 5 homers and 28 RBI. Austin Wilhite, Georgia Tech. : A member of the All-Freshmen team in the ACC, Wilhite hit .338 with 14 doubles, 1 homer and 25 RBI. Anthony Prato, Connecticut: A second team American Athletic selection, Prato hit .304 with 10 doubles, 1 homer, 3 triples, 33 RBI and 15 stolen bases. Cameron Eden, California: An Honorable Mention pick in the Pac-12, Eden hit .315 with 6 homers, 8 doubles, 24 RBI and stole 6 bases in 54 games. Bryson Stott, UNLV: Named Freshman of The Year in the Mountain West, Stott hit .294 with 11 doubles, 2 triples, 1 homer and 29 RBI. Matt Wallner, Southern Mississippi: Named Freshman of The Year in Conference USA and also a second team pick, Wallner hit .345 with 19 homers, 14 doubles and 61 RBI. Matthew Barefoot, Campbell: A second team Big South pick, Barefoot hit .335 with 22 doubles, 8 homers and 49 RBI. Adam Fogel, Hawaii: An Honorable Mention choice in the Big West Conference, Fogel hit .293 with 16 doubles, 4 homers and 27 RBI. Jake Raby, North Carolina Central: A third team MEAC pick, Raby hit .295 with 12 doubles, 2 homers and 31 RBI. OF Logan Foster, Texas A&M: Named to the All-Freshmen team in the SEC, Foster hit .293 with 13 doubles, 5 homers, 4 triples and 23 RBI. Connor Aube, Tennessee-Martin: An All-Freshmen pick in the Ohio Valley, he hit .277 with 11 doubles, 2 homers, 22 RBI and 15 stolen bases. Drue Galassi, Western Illinois: Galassi hit .274 with 8 homers, 6 doubles and 31 RBI. Brandon Raquet, William & Mary: A second team Colonial selection, Raquet hit .337 with 13 doubles, 3 homers, 4 triples and 25 RBI. Kyle Battle, Old Dominion: An All-Freshmen Team pick in Conference USA, Battle hit .341 with 8 doubles, 2 homers and 36 RBI. Mike Veit, Fairleigh Dickinson: A second team Northeast Conference pick, Veit hit .382 with 5 doubles and 11 RBI over 89 at-bats. Austin Masel, Holy Cross: The Rookie of The Year in the Patriot League along with being picked second team All-League, he hit .299 with 11 doubles, 4 homers and 25 RBI. Ben Norman, Iowa: Norman hit .277 with 10 doubles, 18 RBI and 14 stolen bases over 195 at-bats. John Rave, Illinois St.: An Honorable Mention choice in the Missouri Valley Conference and a member of the All-Defensive team in the league, he hit .258 with 8 doubles, 4 triples, 2 homers, 20 RBI and 12 stolen bases. Cam Thompson, Kansas St.: A second team Big 12 pick, Thompson hit .318 with 8 doubles, 4 triples, 2 homers, 33 RBI and 12 stolen bases. Will Brennan, Kansas St.: A second team Big 12 selection and member of the All-Freshmen Big 12 team, Brennan hit .350 with 7 doubles and 27 RBI. Zach Watson, Louisiana St.: A member of the SEC All-Freshmen team, Watson hit .312 with 8 doubles, 3 triples, 4 homers and 27 RBI. Ryan Perkins, Murray St.: Named to the Ohio Valley All-Freshmen team, Perkins hit .279 with 10 doubles, 12 homers and 44 RBI. Kameron Misner, Missouri: Misner hit .282 with 12 doubles, 7 homers, 34 RBI and swiped 17 bases. Michael Toglia, UCLA: Toglia hit .263 with 9 doubles, 8 homers and 33 RBI. Julian Bury, Columbia: Named Rookie of The Year in the Ivy League and a first team All-Ivy pick, Bury hit .333 with 14 doubles and 17 RBI over 150 at-bats. Cory Wood, Coastal Carolina: Named Freshman of the Year in the Sun Belt and a second team All-League pick, Wood hit .291 with 4 doubles, 3 homers, 24 RBI and 16 stolen bases. Jake Wilson, Bowling Green: The Freshman of The Year in the Mid-American Conference hit .305 with 5 doubles, 1 homer, 31 RBI and 8 stolen bases. Will Robertson, Creighton: A second team Big East Conference selection, Robertson hit .272 with 10 doubles, 3 homers and 21 RBI. 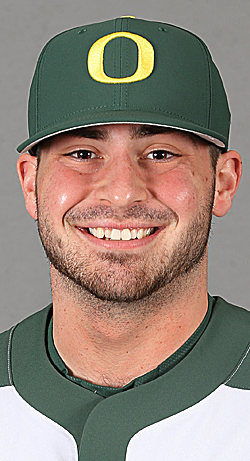 Bryce Kelley, Michigan St.: A member of the All-Freshmen team in the Big Ten, Kelley hit .353 with 7 doubles, 3 triples, 21 RBI and stole 13 bases over 41 games. Cage Cox, Alabama St.: Named A first team Southwestern Athletic Conference pick and Freshman Of The Year in the league, Cox hit .350 with 17 doubles, 7 homers and 45 RBI. Brad Debo, N.C. State: A member of the All-Freshmen Team in the ACC, Debo hit .342 with 17 doubles, 4 homers and 41 RBI. Daniel Bakst, Stanford: An Honorable Mention selection in the Pac-12, he hit .311 with 16 doubles, 3 homers and 38 RBI over 196 at-bats in 55 games. David Harding, Princeton: A second team All-Ivy pick, Harding hit .318 with 9 doubles and 19 RBI. Fox Semones, James Madison: A third team Colonial Conference choice and member of the All-Rookie team in the league, Semones hit .316 with 6 doubles, 3 homers and 21 RBI. Cam Climo, Massachusetts-Lowell: A first team America East pick and members of the All-Rookie team, Climo hit .273 with 8 doubles, 5 homers and 20 RBI. Kyle Cuellar, UCLA: Cuellar hit .327 with 9 doubles and 20 RBI in 107 at-bats. Liam McGill, Columbia: A second team Ivy League pick, McGill hit .338 with 5 doubles, 4 homers and 25 RBI. RHP/DH Kevin Milam, Saint Mary’s: Named Freshman of The Year in the West Coast Conference and a second team All-League pick, Milam hit .313 with 14 doubles, 12 homers and 55 RBI. As a righthanded pitcher, he posted 9 saves, a 3-1 record, 2.27 ERA and struck out 31 batters with 11 walks over 22 appearances. 3B/SS/2B/DH Austin Lively, Seattle: Lively hit .335 with 10 doubles, 1 homer, 31 RBI and stole 4 bases over 54 games. To purchase the June 16, 2017 edition of Collegiate Baseball or subscribe, CLICK HERE. This edition will include the complete All-American layout and will also include the Freshmen All-Americans along with much more in our College World Series preview edition.